Michelle Leonard is a Philly Real Estate agent with 30 years of experience and a fun penchant for hats, I've never seen her hat-less! She's also a Philly-Woman-About-Town, we first met at the opening of the South Philly restaurant Me-N-Mo (click for T&T post) and then started running into each other at various events and became Facebook friends which now has lead to this post - When Michelle started gathering up a table of people to attend a fundraising dinner to benefit Alex's Lemonade Stand Foundation, she thoughtfully included me, as a Philly food blogger, to be one of her guests. The event took place Wednesday, January 11, 2017 at YANGMING restaurant (1051 Conestoga Rd, Bryn Mawr, Pa 19010) which co-hosts the event each year with Albertson Cooking School. This year, restaurateur Michael Wei and his culinary staff took us on a 5 Course culinary adventure through the island nation of Taiwan. 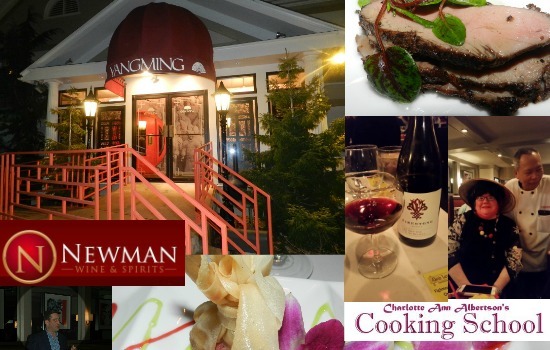 Each course was paired with an excellent wine, chosen and commented on by Jonathan Newman of Newman Wines and Spirits, the former Chairman of the PA Liquor Control Board, who instituted Chairman Select wine picks at Pennsylvania Wine Shoppes. I asked Jonathan how long it took him to pair a wine with each of the courses and what does he look for when pairing - spices? texture? bringing out a flavor or diminishing one? 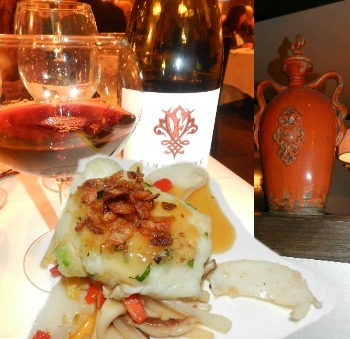 He said it only took him a few hours to find the complement to each dish, and yes to all of the above, when deciding on a wine pairing.